Keto cream cheese coconut flour pound cake is the nut-free version of my keto cream cheese pound cake. 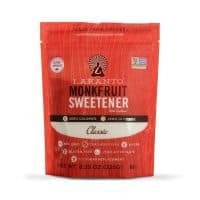 I am thrilled to offer a coconut flour option for those who can’t have almond flour. I also have a keto chocolate coconut flour pound cake which is the chocolate version of this recipe. So I’ve given you options. And if that’s not enough I have a complete list of Keto Cakes that as a fan of cakes I encourage you to also visit. Make sure you remember to also check out our Keto Cream Cheese Recipes for both savory and sweet recipes that use cream cheese. Oh and click here for easy keto cream cheese bread recipe that was inspired by this keto coconut pound cake. Without a doubt, this recipe took my faith to another level. 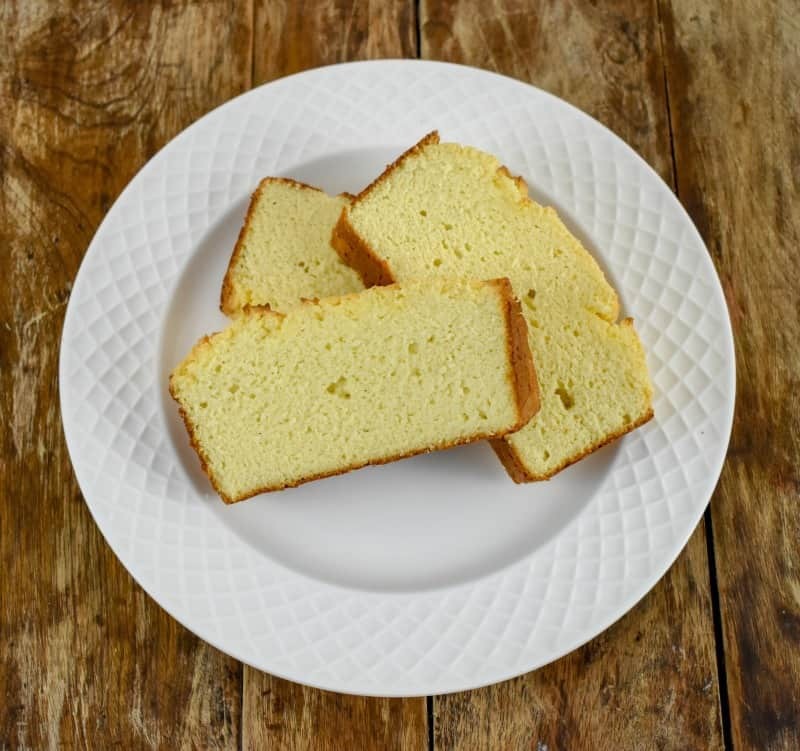 For years people would ask me if there was a way to make our keto cream cheese pound cake with coconut flour. And each time I was asked, I would tell them no that it was just not possible. I gave all sorts of reasons, logical excuses as to why it just wouldn’t work. But what I failed to do was even trying to make a keto cream cheese coconut flour pound cake. Like I never even attempted. Ugh, can I just tell you, that my faith was just not there yet? I had this massive wall of doubt that didn’t allow me to see the possibility. Mind you this is the girl who memorized “I can do all things through Christ who strengthens me” Philippians 4:13 as a kid and yet somehow I didn’t even try to create a coconut flour pound cake?!? Well, I hope that those who asked can forgive me, because I finally took a leap of faith and created a keto cream cheese pound cake that uses coconut flour. It was after hearing this request from yet another reader, that I felt I needed to at the very least give it my best effort before I said it could not be done. So I did what I always do when I find myself in a situation that seems impossible, I began to pray. I also asked others to join their faith with mine before I made the attempt. Besides telling Randy, my hubs to believe with me, I asked my keto Christian sister Juanita to also pray. Juanita is a pastor who also leads a Christian Keto Group. Her willingness to come alongside me boosted my faith. She didn’t even flinch when I asked her. Seems to me she understands what it means not to put God in a box. Does all this sound a little crazy to you? 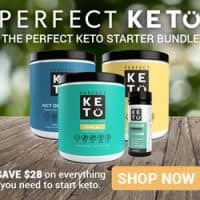 That I would ask for prayer regarding the making of a keto recipe? But I want you to understand the need for practical viable keto options is key to making this a sustainable lifestyle. The truth is, it’s not easy for people to change their eating habits. And if your options are further limited because of food allergies, then it becomes even more of a challenge. I knew based on the many requests that having a keto coconut flour cream cheese pound cake option, would be a blessing to the keto community. That it would allow for more people to enjoy a keto treat safely. And since it’s always been my prayer to be able to assist as many people as possible with my keto recipes, I asked others to stand in prayer with me. Can you guess what happened soon after I asked others to pray with me? I started to have an overwhelming desire to see it manifest. I began to visualize the keto coconut flour pound cake in detail. Once I saw it in my mind’s eye, I was confident that it would soon be a reality. The Bible says in Hebrews 11:1, now faith is confidence in what we hope for and assurance about what we do not see. And that is exactly what happened. I was now assured that what I and others were hoping for would soon manifest. Once a recipe idea gets embedded in my heart I know that it won’t be too long before it makes it to the blog. It’s how I know that I have the green light to go into my kitchen and trust God for the download. As silly as this may sound it’s how things work with me when it comes to this blog. And I am not ashamed to let you know. Understand that when I would tell people who coconut flour wasn’t a viable option, I wasn’t trying to be negative. It was based on having enough experience with this flour alternative to know that it would not be an equal swap. It’s no secret that my go-to flour when keto baking is almond flour and I am not alone in this. 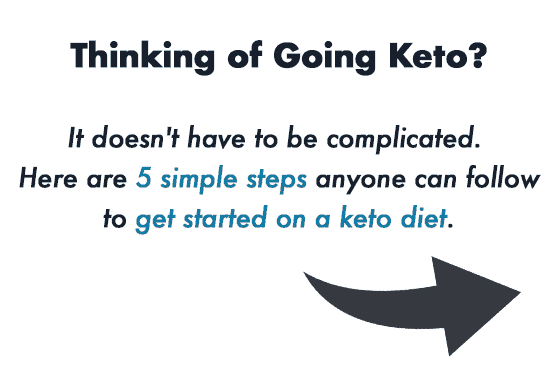 In fact, the vast majority of keto bakers prefer to use almond flour because it just works so well. Generally, almond flour can be swapped for traditional flour in a recipe with little issue. However, as good as almond flour acts as a substitute, if you have a nut allergy it’s not something you can even consider. Knowing this is why I try to offer a number of coconut flour recipes on the site like the following cookies. 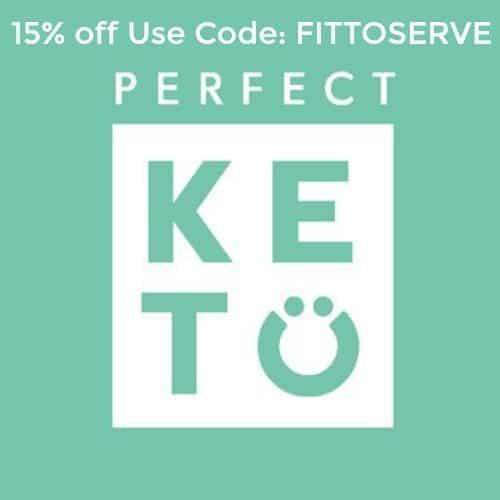 If you’re looking for some other keto treats that are made with coconut flour, check out our keto coconut flour cookies. NOTE: Although coconut flour is a great alternative for many who have nut allergies, some highly allergic individuals can’t do this flour either. So I would tell those who aren’t sure to get the necessary clearance before attempting. Coconut flour does not act the same as almond flour. It’s a very thirsty flour alternative. If I was going to create a keto cream cheese coconut flour pound cake recipe, it meant I had to find a way to add more moisture into the batter. Usually, that equates with more eggs. But I didn’t want to add any more eggs to this recipe for fear that it would have an eggy aftertaste. And that is just yuck in my book. So I opted to keep the limit to eight. 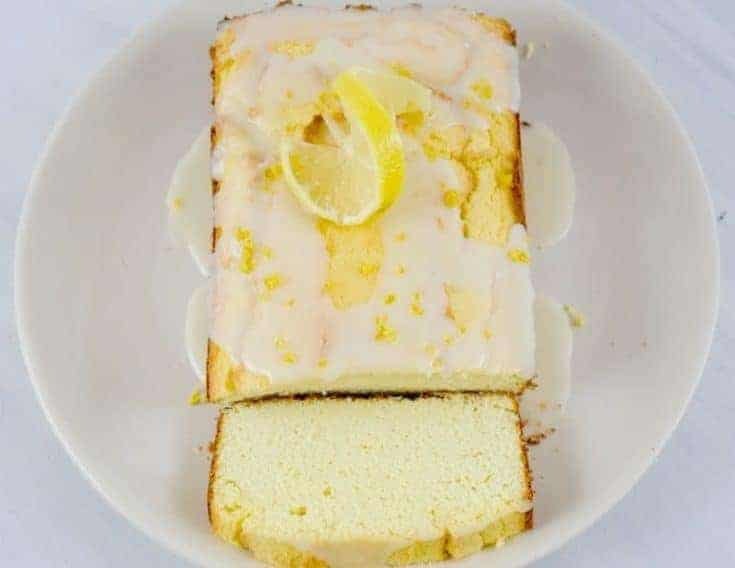 Yes, there are eight eggs in this keto pound cake recipe but it makes a large 10-inch-pound cake so it’s ok.
Once I gave myself permission to believe, I began to toil with the idea of using sour cream in this keto coconut pound cake. I use quite a bit of sour cream in my baked recipes and it works really well when you need to add more moisture to a recipe. After I mixed the batter completely I folded in a ½ cup of sour cream, being careful not to over mix the batter. I also knew that I would have to reduce the amount of flour if this keto coconut cream pound cake was going to work. Which is why this recipe uses 1 1/4 cups of coconut flour versus the 2 1/2 cups of almond flour I use when I double my original keto pound cake recipe. There are some noticeable differences between the batter of my original keto pound cake recipe and that of this coconut flour one. For one the batter is much thicker. You won’t be pouring the batter into your 10 X 5-inch loaf pan but rather spreading it in. Greasing your pan with butter generously is important. Plus you should consider using a non-stick 10-inch loaf pan for consistent results. This recipe also needs to bake a little longer than the almond flour version. 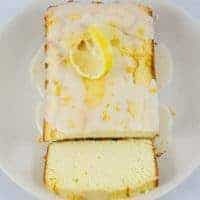 This keto coconut cream cheese pound cake needs to be baked anywhere from 1 1/4 -1 1/2 hours. I recommend you check after one hour by inserting a toothpick into the cake. If the toothpick is not wet but comes out clean with just a few tiny crumbs your cake is done. Note that the top of the pound cake will crack but don’t let that be of concern because it’s only on the surface of the cake. After the cake was baked and allowed to cool in the pan for about 10 minutes. I unmolded the cake onto a cake rack and then allowed the cake to cool completely for about 20 minutes. Once I sampled the cake I took a moment to rejoice. I was in awe that the much-requested cake had finally manifested. 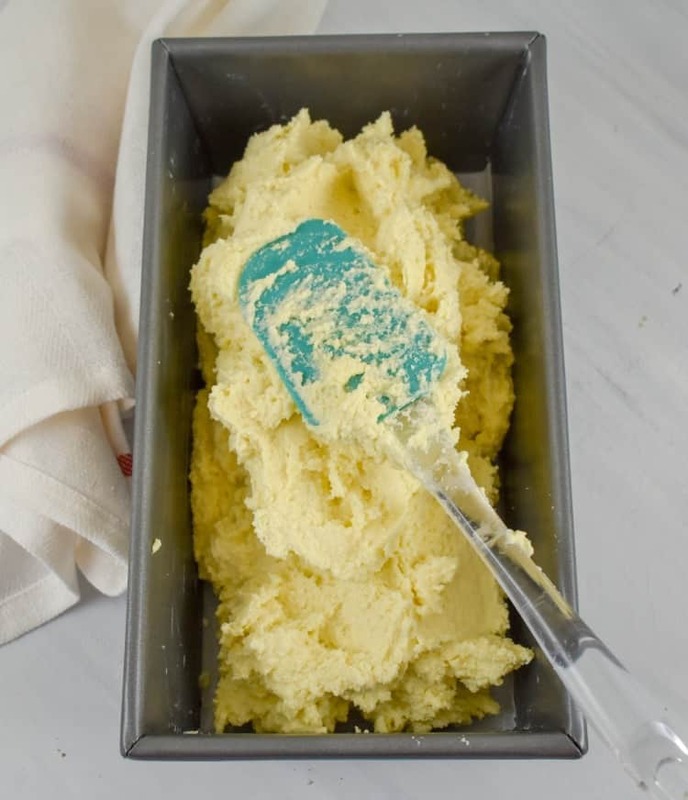 I then went back to the kitchen and created a keto lemon icing to help celebrate its arrival. Don’t ask me why. But for some reason, I wanted a tangy lemon icing on our first coconut flour cake. And guess what? It was amazing. You will thank me for this keto lemon glaze. Can I tell you, don’t be surprised by the deluge of coconut flour recipes that will come as a result of this recipe. Because after seeing this cake, I refuse to be intimidated by coconut flour again. Stay tuned as I bravely make more options with this alternative flour. I sure hope you will give this recipe for Keto Cream Cheese Coconut Flour Pound Cake a try. Once you do, make sure you remember to tag us on Instagram and Facebook. It’s what keeps this girl encouraged to keep sharing and perfecting her recipes. Do remember to also check out our Amazon Store for recommendations. 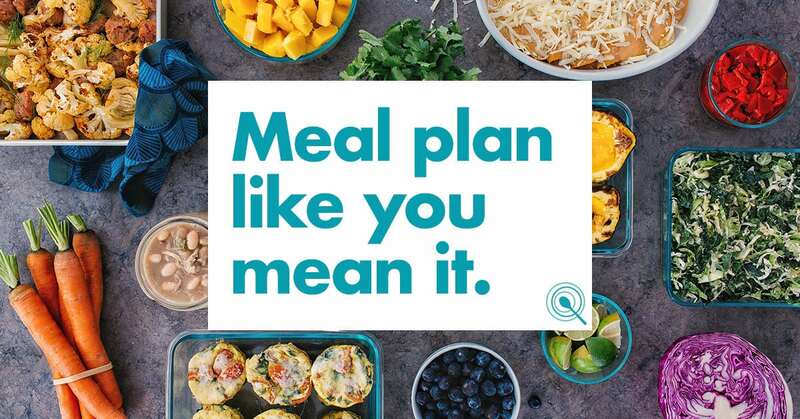 You might be surprised by how many great keto options are at your disposal. Let me explain why we think you should consider combining it with the Christian faith for optimal transformation. As Christians Randy and discovered that in order to find true victory in all areas of our lives, we needed to make sure that our walk with talk fully aligned. And this included the way we ate. We could no longer believe God for healing but ignore our responsibility in taking care of the very place the Holy Spirit chooses to abide. For too long we ignored our role and it was affecting our health detrimentally. In a bold move in January of 2014, we decided to make our keto lifestyle a fast unto the Lord. What we learned has transformed our lives in ways we could have never imagined. Our decision to combine our Christian faith with the keto lifestyle has not only given us greater health, but our walk with Christ has also grown. I encourage you to open your hearts and minds to the same possibility. Perhaps being in a state of ketosis isn’t just beneficial to your health goals, maybe when our bodies are running optimally we can hear the promptings of the Holy Spirit more clearly. 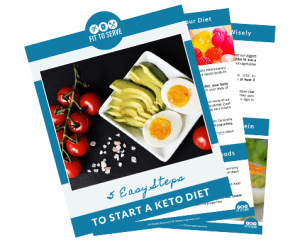 You can read more here about our Jesus and Ketones lifestyle. 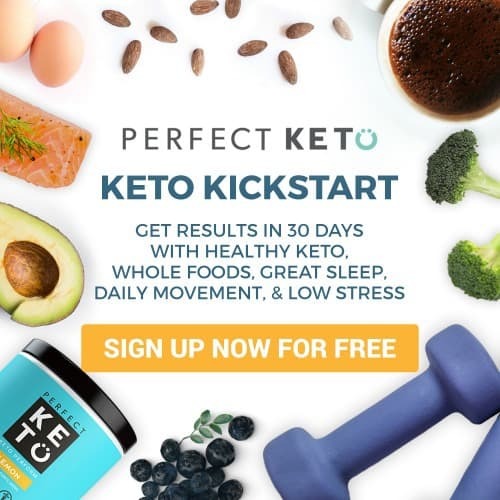 Visit our about page to understand our personal journey and why we’ve made the decision to follow Jesus and combine it with the Keto lifestyle for greater transformation. Feel free to reach out to us personally to answer any of your questions. Consider joining our Facebook page and private Facebook group for added support. It has become our life mission to share what we have learned. It’s our prayer that our testimony will help others find victory in their spirit, mind, and body. Please consider praying for us as we believe God for open doors to be able to share this message with other churches. Grease your 10-inch loaf pan generously with butter. In a medium-sized bowl combine your coconut flour, baking powder, sea salt. Set aside. In a large bowl using a handheld electric mixer or a standup mixer beat together the room temperature butter, cream cheese, sugar substitute, vanilla extract until light and fluffy. To this butter and cream cheese mixture add the 8 eggs one at a time. Making sure to scrape the bowl several times. Note that due to a large number of eggs the mixture will not fully combine, this is normal once you add the dry ingredients to this wet mixture, the ingredients will come together perfectly. Once the two mixtures are fully combined stop using the electric mixture and fold in the 1/2 cup of sour cream gently. Making sure the sour cream gets fully incorporated into the batter but being careful to not over mix. Note that the batter will be very thick and fluffy. This is the normal texture when using coconut flour exclusively in a recipe. Spread the cake batter into the greased loaf pan. Bake the cake for 1 1/4-1 1/2 hours, that's 75-90 minutes. At the 1-hour baking, point check your cake for doneness with a toothpick. If not done allow the cake to bake for the necessary additional time. Check for doneness by inserting a toothpick and if it comes out clean with just a tiny amount of cake crumb your cake will be completely baked. Allow your cooked cake to cool in the pan for about 10 minutes before unmolding. Once your cake is unmolded allow the cake to cool on a baking rake for 20 minutes. While the cake bakes make the optional lemon icing. Comine all the ingredients in the icing except the grated lemon peel. To the fully cooled cake add the optional icing by drizzling to the top of the cake. Sprinkle the top of the glaze with the grated lemon peel. Note the recipe nutrition facts does not factor in the optional lemon icing. 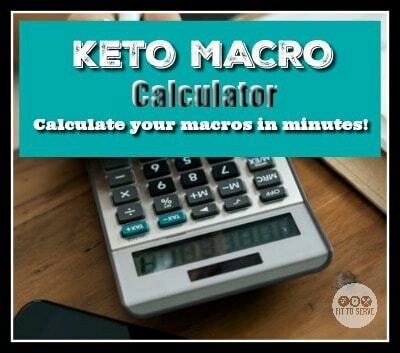 If you opt to use the icing add one more carb to the net carbs. Thanks for this wonderful recipe Hilda! My husband has now asked for a chocolate version - do you have a recipe for chocolate? I saw your option with an almond flour base but not coconut (yet!) Thanks much. This looks amazing. You are an inspiration; I love the Bible verses you bring into your recipes. What a blessing. God bless you. Anyone that has made this....Is it grainy? When i cook with Almond flour its always grainy like cornbread. As a texture girl I cant get past it. Hi Kelly, coconut flour is finer but it’s drier than almond flour. That’s why this recipe has more eggs and sour cream. I think you’ll be fine. Hi, I can’t wait to make this. My son can’t have nuts so this is perfect! Can I use a regular bundt pan instead of a loaf pan? I only have a small loaf pan. Hi Angela! So thrilled your son will be able to enjoy a chocolate cake. Yes, you can use a bundt pan. Hi Karen, so happy to hear that you enjoyed this recipe. I am trying to create more recipes that use coconut flour so that people have choices. Thanks for stopping by to encourage me. Blessings. Made this wonderful pound cake in 9 x 13 Pyrex dish. I made the recipe for the lemon glaze and spread very thin. Baked 40 minutes. Thankful for your coconut flour recipes. Awesomeness Elizabeth! Glad you enjoyed the recipe. It's my hope to continue to create more recipes that are made with coconut flour for those of you either need nut-free options or simply prefer them. Thanks for stopping by to encourage me with your lovely comment. I just made your Almond Flour recipe and it is very good! I did it in muffin pans. Can I do this coconut flour recipe in muffin pans as well, and if so how many muffins should I spread it into? Hi Tori, You certainly can make these in muffin pans. You should get 2 dozen regular cupcakes with this recipe. Enjoy!